Finally the weather is getting warmer which means…smoothies! I love fresh fruit, but there’s nothing like a frozen drink in muggy NYC heat. 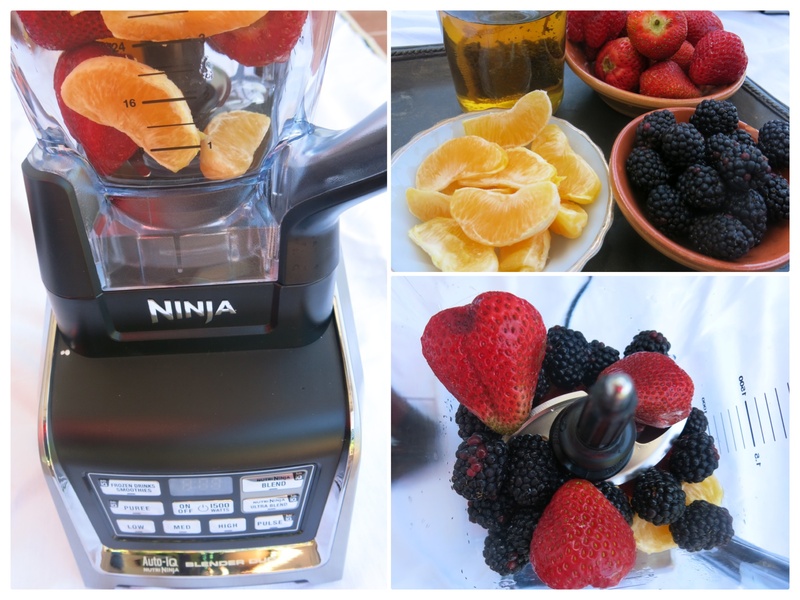 I recently received a Ninja® Blender to review. I was super excited to try the system because of its new Auto-iQTM technology. Auto-iQTM is an intelligent programming that combines unique timed pulsing, blending, and pausing patterns to make it super easy (just press a button!) to do nutrient extractions, chop vegetables, make sauces or dips, or blend resort-quality frozen drinks. I used the Auto-iQTM Frozen Drinks/Smoothies program to make a yummy organic berry citrus mint smoothie and was really impressed with how quickly and efficiently it worked. 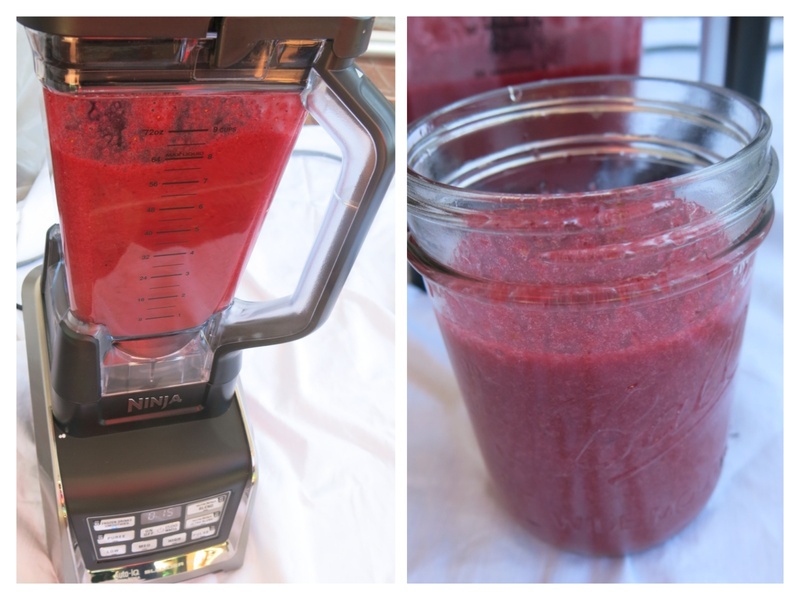 It pulverized the frozen fruit with no problem and the smoothie had an ultra-smooth consistency. Ingredients: 1 cup frozen organic strawberries, 1 cup frozen organic blackberries, 2 peeled small oranges, and 1 cup of organic mint tea. 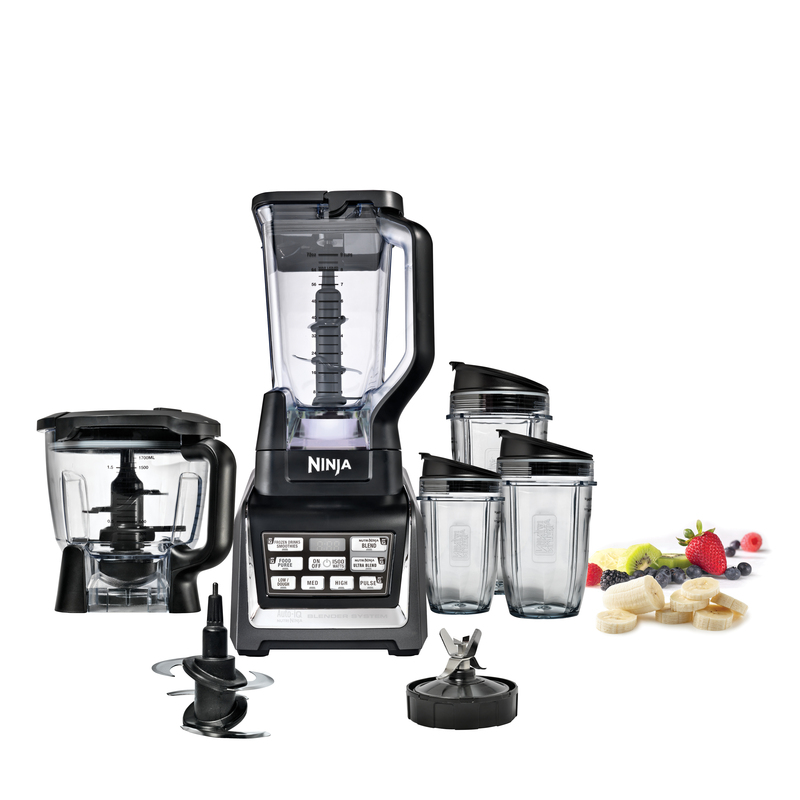 Programs include: Auto-iQ™ Frozen Drinks/Smoothies; Auto-iQ™ Puree; Auto-iQ™ Nutri Ninja® Blend; Auto-iQ™ Nutri Ninja® Ultra Blend; and Auto-iQ™ Pulse. A countdown timer also displays the blending time for added convenience.